Glowing corals that display a surprising array of colours have been discovered in the deep water reefs of the Red Sea by scientists from the University of Southampton, UK, Tel Aviv University and the Interuniversity Institute for Marine Sciences (IUI), Israel, together with an international team of researchers. The researchers, whose findings have been published online today in research journal PLOS ONE, hope that some of the coral pigments could be developed into new imaging tools for medical applications. The team studied corals at depths of more than 50 metres and found that many of them glow brightly with fluorescent colours, ranging from green over yellow to red. The encounter of such a rainbow of coral colours in deep waters was unexpected, since their shallow-water counterparts in the same reef contain only green fluorescent pigments. 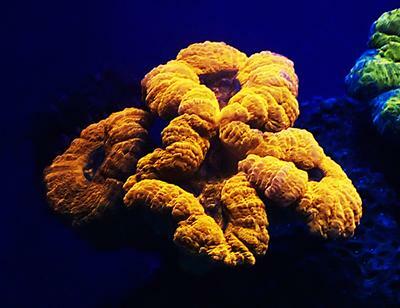 Jörg Wiedenmann, Professor of Biological Oceanography and Head of the University of Southampton’s Coral Reef Laboratory, explains: “These fluorescent pigments are proteins. When they are illuminated with blue or ultraviolet light, they give back light of longer wavelengths, such as reds or greens. Gal Eyal, PhD candidate at the IUI, says: “Corals from these so-called mesophotic reefs are less well studied since they are beyond the depth limits of standard Scuba diving techniques. Advances in technical diving have enabled us to explore coral communities from these deeper waters. “Since only the blue parts of the sunlight penetrate to depths greater than 50 metres, we were not expecting to see any red coloration around. To our surprise, we found a number of corals showing an intense green or orange glow. This could only be due to the presence of fluorescent pigments." Such pigments are often found in shallow water corals, where they can act as sunscreens for the corals and their symbiotic algae. Finding them in depths where corals are struggling to collect enough light to sustain the photosynthesis of their algal symbionts (a vital energy source for the corals) is therefore unexpected. Dr Cecilia D’Angelo, Senior Research Fellow at Southampton, has studied corals commonly found in mesophotic depths in the experimental aquarium of the University’s Coral Reef Laboratory: “In many shallow water corals, the production of the pigments is tightly controlled by the amount and colour of the incidental light. In the majority of our deep water species, the pigment production is essentially independent from the light exposure of the coral animals. The team now are now exploring which other biological functions these fluorescent pigments may fulfil. D'Angelo, C., E.G. Smith, F. Oswald, J. Burt, D. Tchernov and J. Wiedenmann. 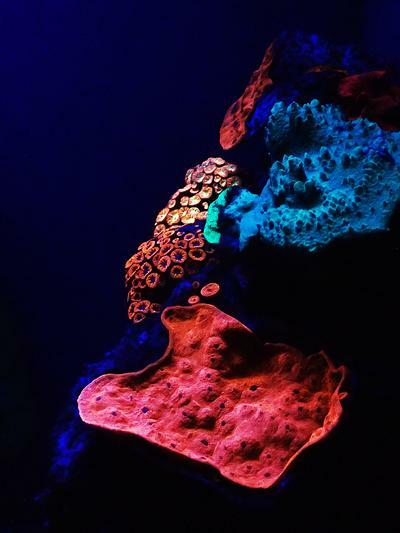 Locally Accelerated Growth Is Part of the Innate Immune Response and Repair Mechanisms in Reef-Building Corals as Detected by Green Fluorescent Protein (Gfp)-Like Pigments. Coral Reefs 31, no. 4 (2012): 1045-1056. Wong, C.K., Laos, A.J., Soeriyadi, A.H., Wiedenmann, J., Paul, M.G., Curmi, P.M.G, Gooding, J.J. et al. Polymersomes Prepared from Thermoresponsive Fluorescent Protein–Polymer Bioconjugates: Capture of and Report on Drug and Protein Payloads. Angewandte Chemie 127, no. 18 (2015): 5407-5412.